Interested to learn what your problem is and how you fix it. There should be a 50 amp fuse in or near the house battery compartment. It protect the feed from the batteries to the power center. I will look. It would be in by the batteries? Looks like a snake out down there. But thank you. Let's back up a couple steps. Did you get the battery/ies installed. Do you have at least 12 DC volts, BUT not more than 14ish at the battery/ies. Defenitaly not anything close to 24 volts! Right now, the house batteries are not connected, but many of the coach functions that worked on the chassis batteries are inop. Lights, step, etc.. Batteries are strapped down but the hot lead is not connected yet. No. When the engine is running, the 12 volt lights , the power panel and the step all worked. I have the 2017 class c on a sprinter. My switch was next to the 12v fuse panel under the bed. It is a push button. If you search duncii I posted it last summer. I looked everywhere that Thor said look under the chassis near the battery. Got lucky after much frustration. If you don't find the issue let me know. I have a 2017 Synergy Sprinter and all the electrical diagrams from Thor for it. If you need them I can fax if you need. I have a 2013 Daybreak, and the same thing happened to me on my return trip from Maine. 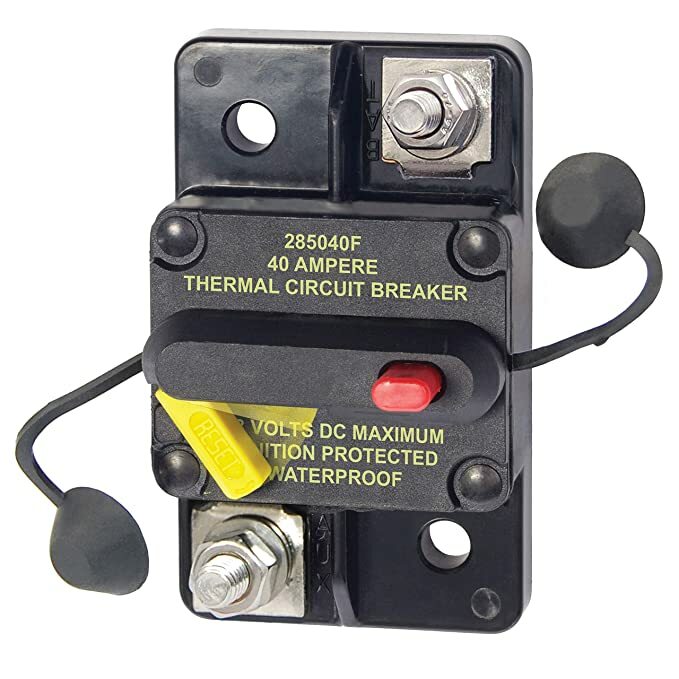 In the Battery Control Center, BCC, there is a 50 amp circuit breaker, it's pretty small, gray in color, and on the lower left corner of the BCC, it has a small reset button. There is a corner flap above above the breaker/fuse box. You have to open/lift that flap. Look inside and to the right of the fuse/breaker box. It is a very small reset. A flashlight will help. If you cannot get the slide out to access the flap. You should be able to gently remove the breaker/fuse panel (power off) and reach around to the rear lower right side of the wood panel. Again I posted a picture of the location.